My toolkit for this animation project was quite professional! 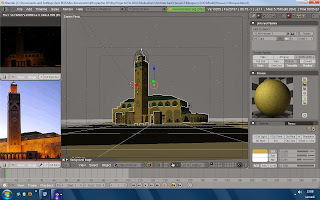 Blender was my main program for all 3D works, going from modeling to animation. I used the old 2.49 version for modeling, and then moved to the new 2.5 version for animation because of all its new features that made it simple. 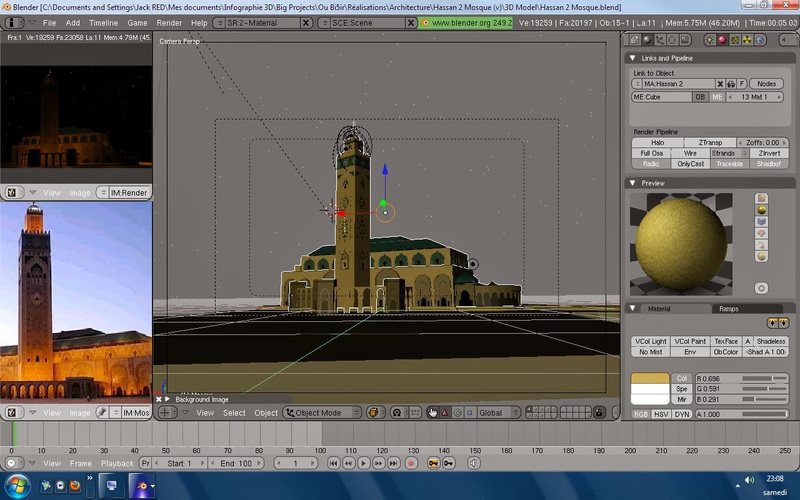 At left is a picture of the Hassan2 Mosque I modeled using Blender 2.49.